But it is ever the purpose of Satan to make void the law of God and to pervert the true meaning of the plan of salvation. Therefore he has originated the falsehood that the sacrifice of Christ on Calvary's cross was for the purpose of freeing men from the obligation of keeping the commandments of God. He has foisted upon the world the deception that God has abolished His constitution, thrown away His moral standard, and made void His holy and perfect law. Had He done this, at what terrible expense would it have been to Heaven! Instead of proclaiming the abolition of the law, Calvary's cross proclaims in thunder tones its immutable and eternal character. 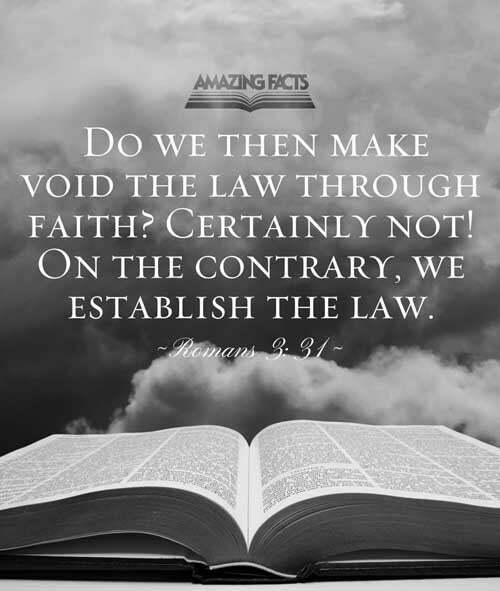 Could the law have been abolished, and the government of heaven and earth and the unnumbered worlds of God maintained, Christ need not have died. The death of Christ was to forever settle the question of the validity of the law .... Having suffered the full penalty for a guilty world, Jesus became the Mediator between God and man, to restore the repenting soul to favor with God by giving him grace to keep the law of the Most High. Christ came not to destroy the law or the prophets, but to fulfill them to the very letter. The atonement of Calvary vindicated the law of God as holy, just, and true, not only before the fallen world but before heaven and before the worlds unfallen. Christ came to magnify the law and to make it honorable. It is the sophistry of Satan that the death of Christ brought in grace to take the place of the law. The death of Jesus did not change or annul or lessen in the slightest degree the law of Ten Commandments. That precious grace offered to men through a Saviour's blood establishes the law of God. Since the fall of man, God's moral government and His grace are inseparable. They go hand in hand through all dispensations. “Mercy and truth are met together; righteousness and peace have kissed each other” (Psalm 85:10). Jesus, our Substitute, consented to bear for man the penalty of the law transgressed. He clothed His divinity with humanity and thus became the Son of man, a Saviour and Redeemer. The very fact of the death of God's dear Son to redeem man shows the immutability of the divine law. 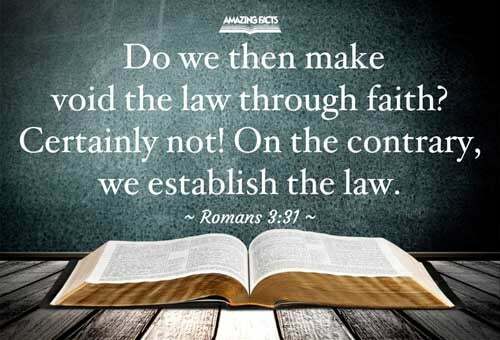 How easily, from the transgressor's standpoint, could God have abolished His law, thus providing a way whereby men could be saved and Christ remain in heaven! The doctrine which teaches freedom, through grace, to break the law is a fatal delusion. Every transgressor of God's law is a sinner, and none can be sanctified while living in known sin.